Formal eye makeup tips will allow you to look glamorous no matter if you are heading out for the biggest night of your life or if you are just hanging out with friends. 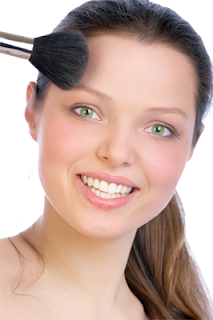 To look glamorous, you need to know just how to apply makeup correctly, to achieve the desired, finished look. Learning how to put on eye makeup does not have to be a difficult process either. Here are several key steps to make your wedding or prom pictures truly amazing. Your first course of action is to pick a celebrity or look that you are after to mimic. Eye makeup ideas are hard to come up with on your own, but there are plenty of models out there for you to mimic. This is an eye makeup trick; mimic someone else’s look. How will you know who to select? Choose someone that has the same skin tone and hair color as you. Check out what makeup products they are using too. A huge mistake that many people make when it comes to formal make up is that they try to make each of their facial features a focal point. Choose either your eyes or your lips and then apply makeup to enhance that features. The makeup you use in the other area should be more subtle. Select the area of your face that is where you get the most compliments. Another formal eye make up trick is to skip the foundation but to use a concealer for blemishes. How does this affect your eye makeup? First off, those that are young are likely to have beautiful, glowing skin with no need for heavy foundations. For your eye makeup, allowing your natural skin tones to come through will allow your eyes to be more set off from the rest of your face. Less makeup everywhere else helps your eyes to stand out. For bridal makeup, consider more natural and soft tones. The white of a wedding dress makes your skin darker looking. Less is more here. For proms and a night out on the town, look to more drastic and deep color combinations in your eye makeup. Do this to create an alluring look with your eyes. Formal eye makeup tips like these can be easy to apply any day or night that you are planning out. You can get amazing eye makeup ideas from celebrities by paging through the web or watching Red Carpet footage. The bottom line is to find an amazing look that allows only your eyes to stand out. Eye makeup techniques like these are easy to learn. Practice makes perfect! For a formal look, enhance your eyes.